432 pages, 8.5" x 11"
Minnie Minoso. Martin Dihigo. Luis Tiant Sr. and Jr. Orlando "El Duque" and Livan Hernandez. These are only a few of the leading lights profiled in Cuban Baseball Legends: Baseball's Alternative Universe. The 47 individuals profiled here represent only a small handful of the legions of memorable and sometimes even legendary figures produced over nearly a century and a half by an island nation where the bat-and-ball sport known as baseball is more than a national pastime, it is the national passion. The book presents 47 biographies in all, plus essays on Cuban baseball. These biographies were researched and written by a team of members of the Society for American Baseball Research. SABR's BioBroject has produced bios of over 3,800 players since 2002. A Spanish-language edition of the book is also available, a new first for SABR. Haga clic aquí para obtener más información sobre las "Leyendas del Béisbol Cubano." Contributors include: Mark Armour, Thomas Ayers, Ray Birch, Peter C. Bjarkman, Ron Briley, Phil Cola, Rory Costello, Reynaldo Cruz, Eric Enders, Joseph Gerard, Peter M. Gordon, Tom Hawthorn, Lou Hernandez, Douglas Hill, Joanne Hulbert, Len Levin, Brian McKenna, Zachary Moser, Bill Nowlin, Jose I. Ramirez, Rick Schabowski, Mark Stewart, John Struth, and Adam J. Ulrey. E-book: Click here to download the e-book version of Cuban Baseball Legends: Baseball's Alternative Universe for FREE from the SABR Store. Available in PDF, Kindle/MOBI and EPUB formats. 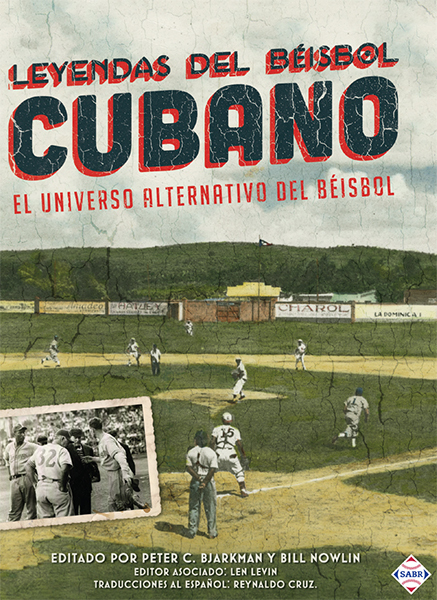 Paperback: Get a 50% discount on Cuban Baseball Legends: Baseball's Alternative Universe paperback edition from the SABR Store ($15.99 includes shipping/tax). 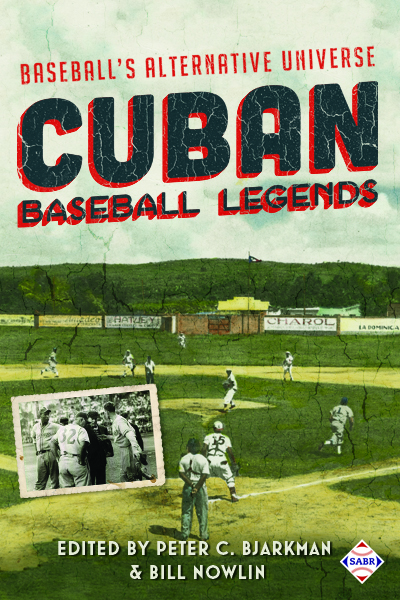 E-book: Click here to purchase the e-book version of Cuban Baseball Legends: Baseball's Alternative Universe for $9.99 from the SABR Store. Available in PDF, Kindle/MOBI and EPUB formats. Paperback: Get the paperback edition of Cuban Baseball Legends: Baseball's Alternative Universe from the SABR Store ($30.99 includes shipping/tax). Libro electrónico: Haga clic aquí para descargar Leyendas del Béisbol Cubano: El Universo Alternativo del Béisbol en español de forma gratuita desde la tienda SABR. Libro en rústica: Obtener un descuento del 50% en Leyendas del Béisbol Cubano: El Universo Alternativo del Béisbol de la tienda SABR ($15.99 incluye envío/impuestos). For more than 40 years, SABR and its members have led the way in publishing the best baseball historical and statistical research. Our publications program is shifting to take advantage of new methods of publishing. Not only will we continue to publish new books like Can He Play? A Look At Baseball Scouts and Their Profession (released in December 2011); Opening Fenway Park in Style: The 1912 World Champion Red Sox (May 2012); Detroit Tigers 1984: What A Start! What A Finish! (December 2012); Sweet '60: The 1960 Pittsburgh Pirates (April 2013); Inventing Baseball: The 100 Greatest Games of the 19th Century (July 2013); Thar's Joy in Braveland: The 1957 Milwaukee Braves (May 2014); Detroit the Unconquerable: The 1935 Detroit Tigers (December 2014); Winning on the North Side: The 1929 Chicago Cubs (February 2015); Scandal on the South Side: The 1919 Chicago White Sox (June 2015); The Team That Time Won't Forget: The 1951 New York Giants (December 2015); Nuclear Powered Baseball/The Simpsons (February 2016), and Au jeu/Play Ball: The 50 Greatest Games in the History of the Montreal Expos (April 2016), which showcase the best efforts of SABR's members, chapters and committees, but new technology makes it possible for us to bring out-of-print titles like Run, Rabbit, Run: The Hilarious and Mostly True Tales of Rabbit Maranville (February 2012), Great Hitting Pitchers (March 2012), Nineteenth Century Stars (August 2012); Batting (January 2013); The Fenway Project (September 2013); and '75: The Red Sox Team That Saved Baseball (April 2015) back again. This page was last updated October 31, 2017 at 4:03 pm MST.